Number puzzles have specific set of rules, you first has to figure out the pattern being followed and then answer the puzzle according to the pattern. 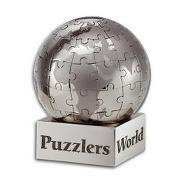 Number puzzles are a part of many competitive examinations, these also helps you improve your logical thinking and above all these are fun to crack !!! 2, 7, 3, 6 => ?